Although I did not have one of these, I do recall building a simple crystal / cat's whisker set -- with wire wrapped around a toilet paper roll and secured to a wooden base -- when I was about 10. 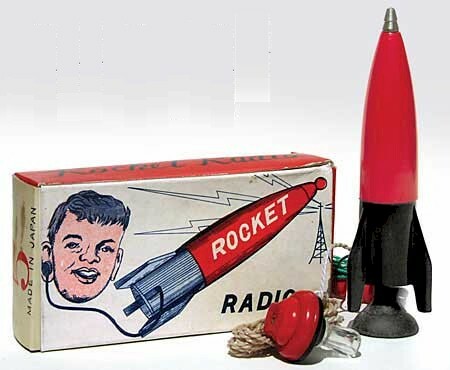 It amazed me that a device like that, with no power source at all, could pull radio signals out of thin air. I used to hear of people whose dental fillings or braces acted like crystal radios... Talk about having a song stuck in yourhead!